The AGPRO ATV Flail Mowers are fitted with a genuine USA built Briggs & Stratton Engine and this particular model is designed for versatility and built with a heavy duty construction suitable for all purpose lawn care maintenance and fitted with a solid heavy duty horizontal cutting shaft and with Forged Steel Zinc Plated Hammer Blades fitted standard on this model and as this model is built to perform in the most extreme conditions as compared to a standard mower. 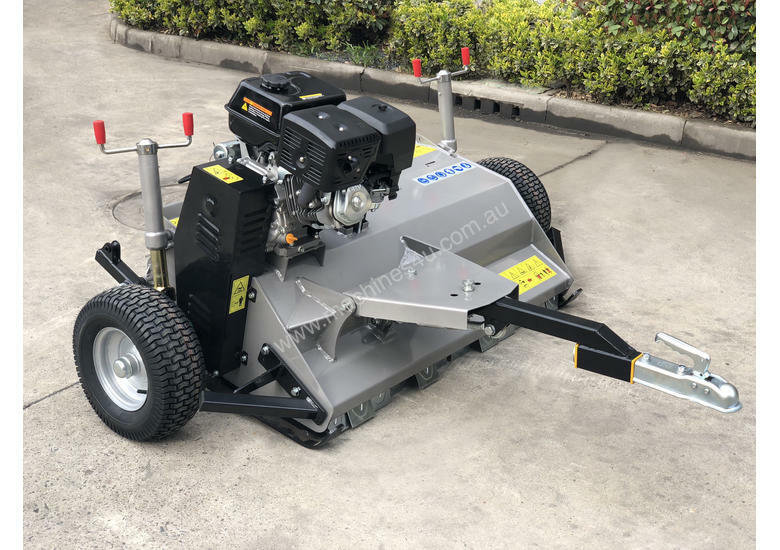 This particular tow behind Flail Mower model has a fully adjustable rear gate to ensure maximum rear discharge waste flow rate without causing clogging in heavy growth areas and with a durable double height adjustment lever system and 2 way optional wheel placement function which wheels can be positioned either to the side of the mower or a rear wheel mounted operation and this model mower is capable of being towed by any vehicle that has a tow ball draw bar attached. 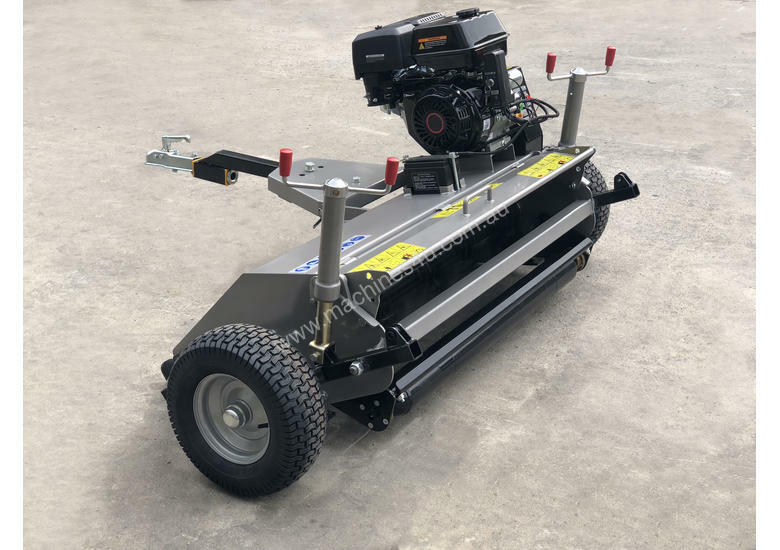 The Flail Mower is designed for versatility and suitable for maintaining parks, lawn areas and is capable of mowing heavy growth and mulching noxious weeds, sticks and bark. 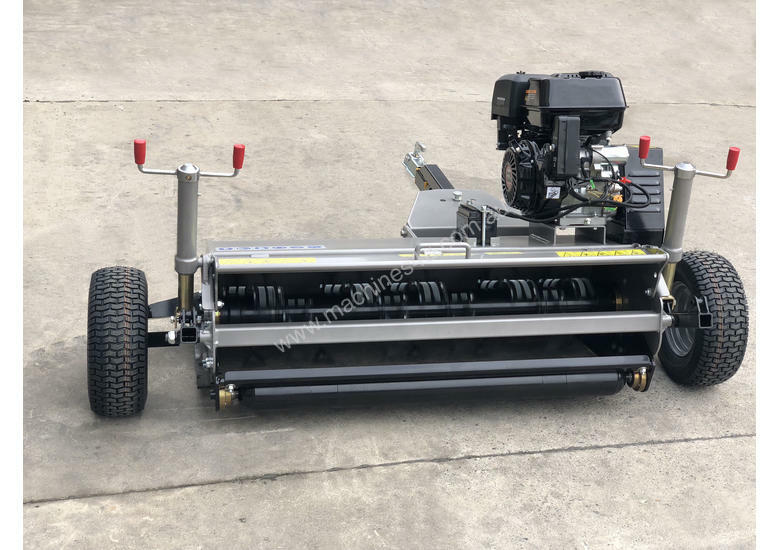 “Y” Blades can be fitted or sold separately if required to achieve a lawn turf look. We recommend use of Forged Steel Zinc Plated Hammer Blades as most projects will require robust mowing from heavy growth, noxious weeds, sticks and debris.